There are many features to look for when considering a video based inspection system. The features range from simple desktop/PC based units to industrial sized floor models that are integrated with QC labs, production lines and engineering departments. Excellent for repetitive inspection during production runs. Consider, for example, a packaging line that applies labels to bottles of detergent. A human could certainly stand there 24/7 staring at the endless line of bottles with labels, just looking for a flawed product. Or, a vision system could be programmed to inspect the line without ever getting bored or fatigued. The non-contact aspect of measurement is immensely helpful because it reduces error. Every time a part is handled and set up, there is an increased chance of error. With the video based vision system, the camera sees the actual part and can take real time measurements on the fly. Ease of use cannot be overemphasized. Compared to the old shadow graph, or optical comparator, the vision system is more reliable and simple to use. 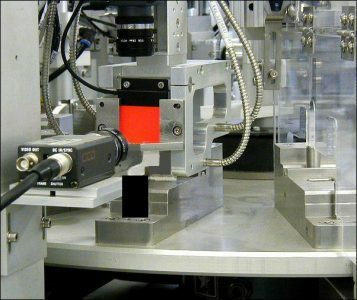 While the comparator certainly has it’s valuable applications, in general, the vision system can do the same thing better and faster. 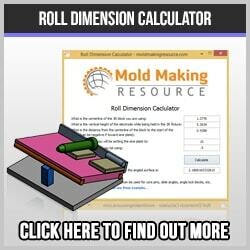 Calibration is an ongoing need and a good machine is designed with this in mind. It is important to consider the ease of use for the operator. There is a huge difference from one brand and model to the other, and consideration for the person actually using it must be taken into account. Manual models are available, as are manual/motorized or motorized only machines. For basic applications, the manual style is quite acceptable, but for heavy use or production uses, the motorized styles are definitely preferred. Some models are 2D, others 2.5D and still others 3D. 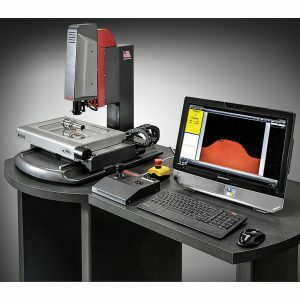 When combined with CNC servos and software programs nearly anything can be inspected to a high degree of accuracy. It is important to make sure that the mechanical functions of the machine are reliable and easily serviced. You do not want to be bent over in an awkward position, for example. Neither do you want an inspection area that is difficult to work with or of the wrong size for your application. 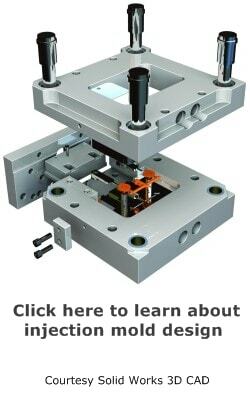 The video based vision system for precision measurement is a versatile and flexible method of inspection that should be seriously considered for use in a modern mold making and tool and die shop. In production environments the applications are nearly endless and can relieve the stress of tedious inspection work.